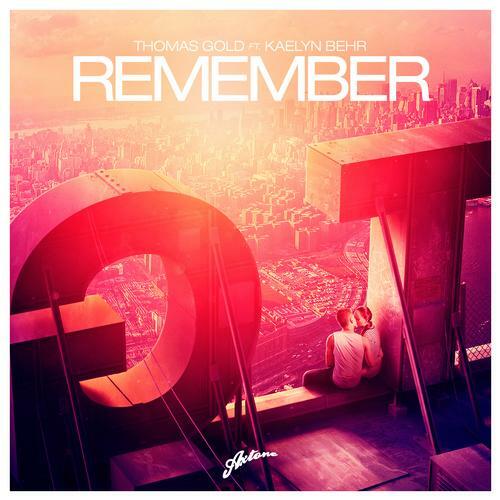 After a relentless 2013, German beatsmith, Thomas Gold, has unleash his long-awaited single, 'Remember' via Axtone Records. 'Remember' is the long awaited Axtone follow up to the Beatport #1 reaching 'Sing 2 Me' as well as the 'Axtone Presents Thomas Gold' compilation. 'Remember' describes the story of a couple spending the night out and experiencing the beauty of the morning sunrise together. On it, arpeggiated violins soar beautifully into Kaleyn Behr's vocals, before gradually build up to a crescendo crammed with unrivalled elation and energy.